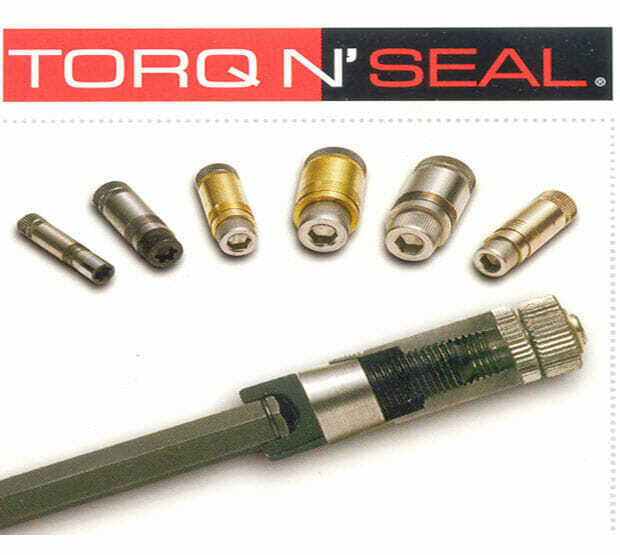 An accurate Tube ID measurement is a critical first step in determining the correct Torq N’ Seal® plug for your application. 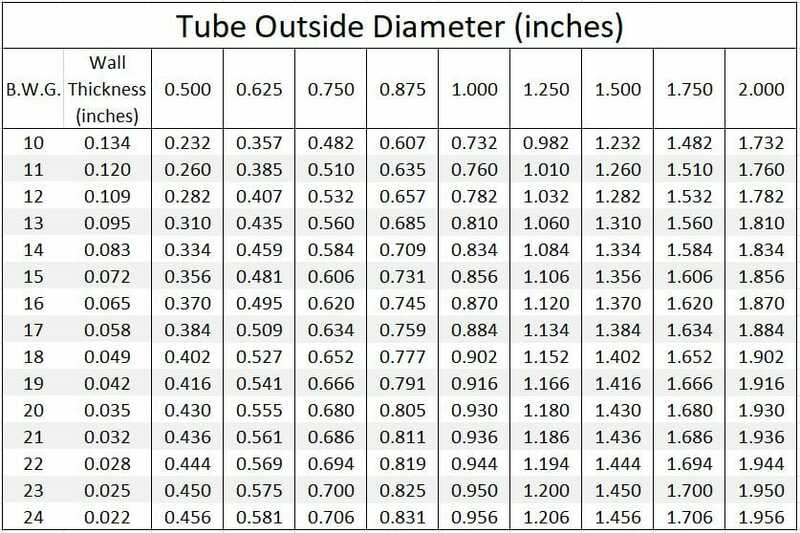 OPTION 1: Ideally, take a careful measurement of the tube ID with an inside tube micrometer or a gauging block to determine the actual bore diameter. 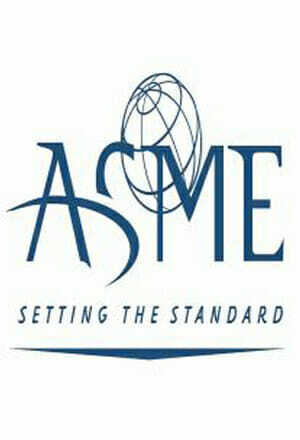 Be sure to clean the tube of any loose scaling or corrosive oxide formation that may interfere with the measurement. 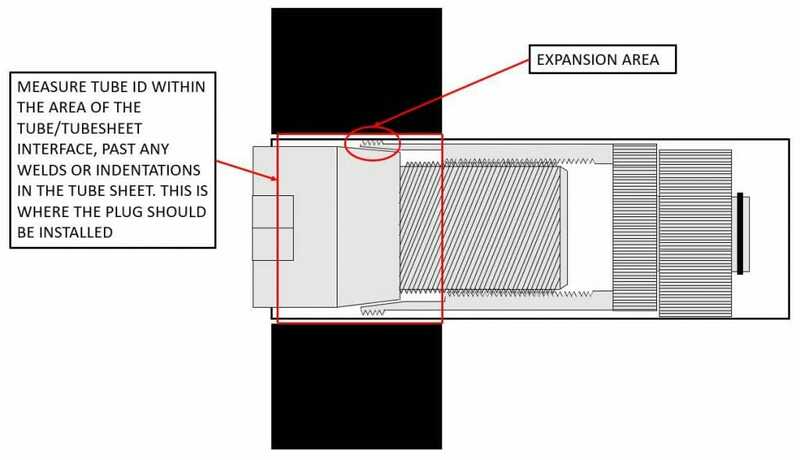 Caution: Measure where the plug’s expansion area will be when the plug is installed. If the tubes are welded to the tubesheet, be sure to measure past the weld area. In some cases where the weld overhangs the tube ID, the weld area will have to be reamed in order to fit the correct plug. 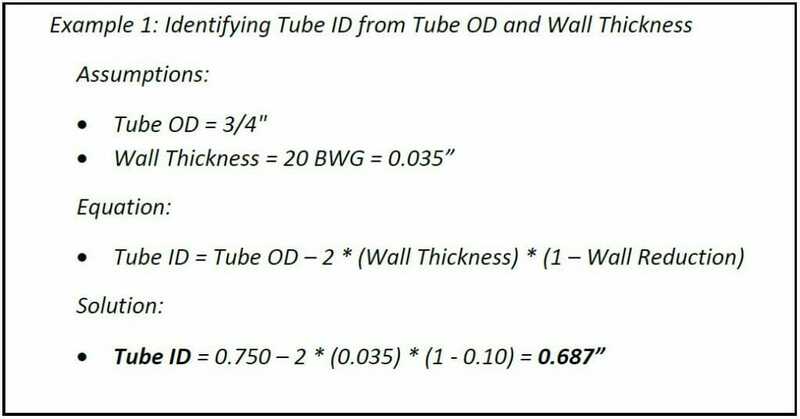 OPTION 2: If access to the tubes is restricted, calculate the Tube ID using the design tube OD minus 2 times the wall thickness (factor in wall reduction due to rolling if the tubes were rolled into the tube sheet, 7-10% wall reduction is typically a good estimate). 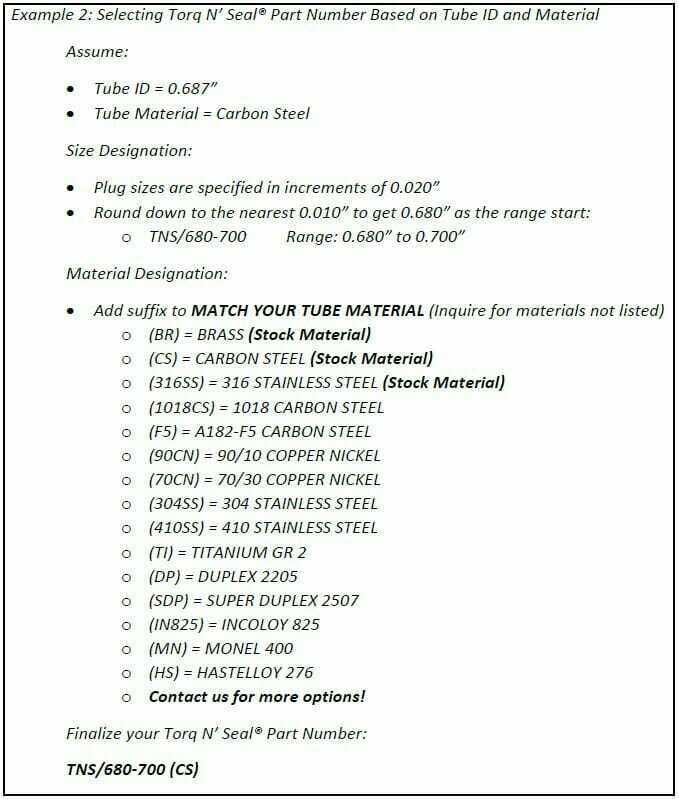 Round your tube ID down to the nearest 10 thousandth and then add a material designation to match the tube material. Please see the example below. 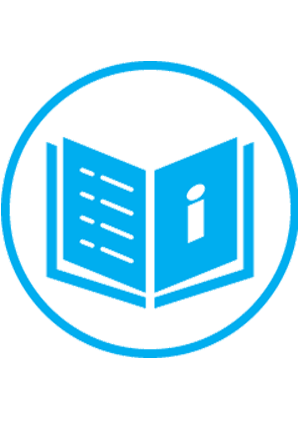 You can also contact us directly and one of our engineers will be happy to help you. Just give us a call at 201-641-2130, email us at SALES@JNTTECHNICAL.COM, or fill out our Contact Form.